The great Midwest, State Fair central, cornfield capital of the country + home to some very inventive restaurants! Since 1983, Jo + Mickey have been serving up vegetarian + vegan diner classics to the masses. The restaurant has gone on to become an awesome vegetarian staple in Chicago's Lakeview neighborhood. A cozy atmosphere greets guests as they enjoy fan favorites like the flavorful milkshakes, the Radical Reuben + poutine! HandleBar ($$) - Handlebar serves made-from-scratch vegetarian + vegan comfort food for breakfast, lunch and dinner seven days a week with a full bar + beer garden! (*Great for those who are gluten free as well! 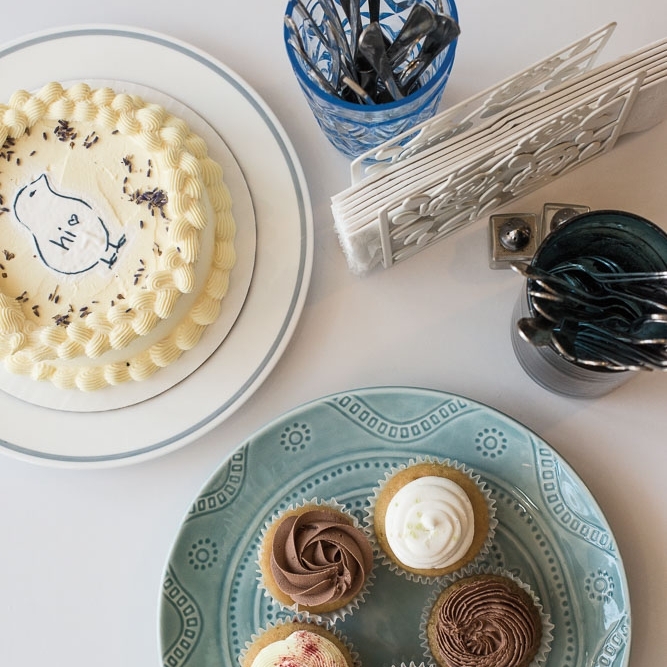 Quirky vegan bakeshop with organic, sweet/savory pastries + custom cakes. In addition to phenomenal baked goods, they are famous for vegan breakfast sandwiches that will blow you away! Flavors rotate seasonally, and unexpected flavor combinations — like grapefruit and poppy-seed — are perfectly normal for this cozy cafe! Even vegans get a craving for burgers, fries, + thick milkshakes - that’s why Vegan restaurant serving organic burgers, fries, and milkshakes. This small business, who uses only plant based ingredients in their recipes, is dedicated to their mission rooted in promoting the sustainability of both the planet + personal health. Stop by for one of the best burgers you will ever have! While not entirely vegetarian, this local favorite made our list due to their dedication to their slogan, “food with a mission”, and how they wholly embody this goal. Most of their ingredients in their own garden on the property - with any others sourced from local organizations. Detroit Vegan Soul is the kind of gathering place where vegans + meat eaters alike can sit together and agree on one thing: the hush puppies are amazing. A perfect place for vegans whose soul food hankering has not been fulfilled or for naysayers who don’t believe that tofu can taste flavorful! Dive in, hands first, at this Ethiopian treasure! Try the deluxe platter which a big platter of 8 samplers with Ethiopian bread. Your palate will thank you for the exciting journey across spicy, mild, sweet + savory flavors during your meal. So good they don’t even need a website! Make sure you bring cash as they are cash only. A plant based menu with most of the fresh ingredients being made right in house, staying away from processed vegan meats + cheeses. Known for inventive dishes that push the bounds of creativity rather than replicating typical meat based recipes with vegan options! A vegan bistro where the menu changes weekly with new, innovative dishes to delight customers and keep them coming back for more. They let the natural vegan ingredients shine through the dishes as what they are: wholesome, filling, and tasty, rather than loading them up with fake cheese + meat ingredients. If dining with friends, locals suggest sharing plates with your group so that you can all try more! Ice cream shop serving up approx. 10 of 12 vegan ice cream flavors that are so creamy they could fool even the biggest skeptics! They use another local vegan favorite, Herbivorous Butcher, comprised of a local brother + sister duo, for their vegan cheese and meat for vegan crepe orders! Anything you would add to our list? Let us know in the comments!